This summer I joined the 100 Marathon Club. In fact after completing my 100th marathon I also ran my 101st the following week! I think anyone who knew me twenty years ago would not believe this is possible. Then I could not even walk half a mile to my local train station, I needed a taxi to get me there and back. In this blog post I’m going to share my story. 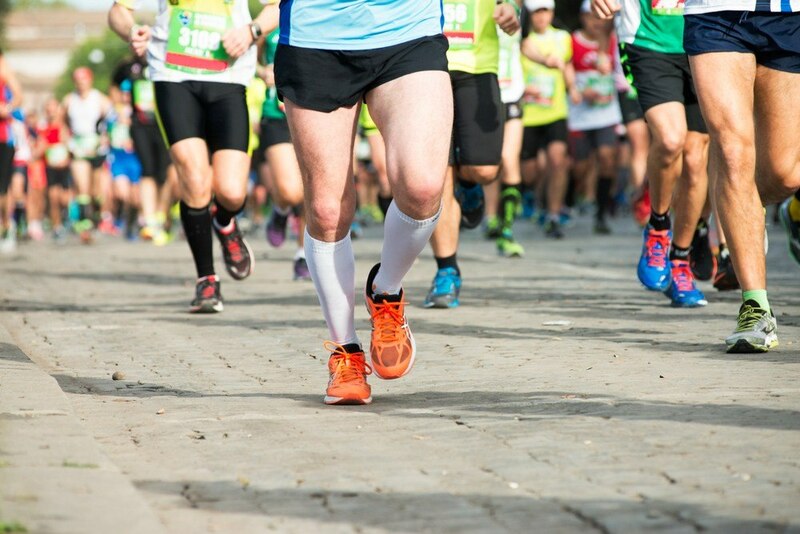 When I tell people about my marathon running I hope it inspires them to take control of their fitness and vitality, and give themselves the best chance of a healthy long life. However, I know that 100 marathons sounds quite extreme; it is not a challenge for everyone, it’s something I choose to do for very personal reasons. This means that if you are anything like me when I was in my forties – overweight, experiencing multiple health problems brought on by a diet of junk and processed food, lacking energy and not being able to do the things you love – you do not have to run 100 marathons to regain your vitality. Below I will explain how I turned my long-term health prognosis around, and how you can do it too without running any marathons! Many people find it hard to believe that a doctor would allow himself to become so overweight he experienced the issues I did. I think the reasons this happened to me are common to many people: but also that doctors are very good at diagnosing medical conditions and prescribing drugs to treat them, but not so good at preventing disease and life debilitating conditions to start with. In my younger days, when I was working as a doctor in Sudan where I originate from, I was fit and had a very healthy diet. Foods containing large amounts of sugar such as processed and junk foods were not readily available, I simply didn’t eat them. But when I came to the UK and starting working in the NHS, this changed. Long and anti-social hours meant that preparing and eating natural foods from scratch was a challenge, it was much easier to get snacks from the vending machine or eat in the hospital canteen where junk food predominated. This is not a problem confined to doctors and those working in the NHS. Many of the people I treat can attribute their lifestyles of working long stressful hours, eating at their desks, grabbing takeaways on the way home from work, to their poor health and obesity. From a young age I have always had a mentality of looking for personal development and improving my situation and that of my family’s. Some of this is down to my upbringing. Living in a poor neighbourhood I didn’t want to settle for a future of poverty and hardship. Throughout my life there are times when I’ve said to myself ‘this is not good enough’ and taken action to improve my lot, such as becoming a doctor. However in the case of my poor health this was something that gradually came about. Over the years I had gained weight, started to experience shortness of breath, arthritic pain in my knee, indigestion and heartburn. But it didn’t happen overnight; instead I adapted and put up with these changes until I received a very frightening wake up call. I developed a thyroid cyst as a direct consequence of my poor diet and unhealthy lifestyle, which ruptured and resulted in me requiring emergency surgery. During the operation I lost a lot of blood, my blood pressure plummeted and I didn’t regain consciousness for five days. At this point I realised how much my health and quality of life had changed. I was also acutely aware of the stress and worry I was causing my wife and children, and knew that this was not good enough. In my experience of treating patients with chronic conditions, this story is not unusual. People learn to live with their symptoms and adapt to a reduced quality of life until the pain becomes too much. Or they experience a life-changing incident such as a stroke or other major health crisis. The doctors treating me after my surgery offered no advice for improving my health. As I’ve said before, as doctors we are trained to diagnose disease and then treat it with medication, it is rare to find a more holistic approach that looks at the reasons behind the condition. Even when patients are advised to lose weight, good information and support is not always available. I was on my own in terms of finding a way to improve my fitness and vitality. Fortunately I had the support of my family, the incentive to set a good example and, as the head of my family, they needed me to be fit and well. My first goal was to be able to walk the 20 minutes to the station without taking a taxi. During this time I researched and read up a lot on diet and exercise, and slowly developed a programme that worked. Typically the advice to lose weight is to reduce your calorie intake and exercise more – but for may people this is simply not sustainable. To burn fat we need to exercise for prolonged periods of time, hours, and this is not compatible with most people’s lifestyles. Instead we need to look at building and maintaining muscle mass. Our muscles are metabolically active tissues that use energy (they soak up the calories), and this is what will prevent calories being stored as fat. Calorie intake is another area that is often poorly understood. Many people try to restrict calories by portion control – eating less – but without any thought for the type of foods being put into the body. Through my studies I have found that eating more of the right foods, those packed with fibre and nutrients, is what the body needs so it can work effectively and this prevents the development of metabolic diseases such as diabetes. As I was doing all my own research to regain my vitality it took a lot longer than it should have. As a result I have developed a programme for others to use that delivers benefits much faster. However, gradually I was losing the fat and becoming fitter. My first goal of walking to the station was achieved and then I set myself the challenge of running again. I extended the distances I walked, increased my speed to a brisk walk, started to jog for short distances, and eventually run for longer periods of time. My next challenge was to run 5K, then 10k. Half marathons became achievable and the endorphins racing around my body spurred me on to new goals. I ran my first marathon, London 2004, in 3hrs 37mins. Four years later I ran a personal best of 3hr 2mins in Berlin and in the last 12 months I have run over 49 marathons. You don’t need to run 100 marathons to regain your vitality like I have. This was very much a personal choice and actually not the best exercise you could be doing. I’m now in my sixties and the investment of time over the last few years and weekends spent travelling to compete is too much. Instead I will focus on shorter distances, such as Park Runs, 10K events and half marathons, because this is something I like to do. I will also be focusing on strength training, not to run faster but to maintain muscle mass and keep me fit and active in later years. As a doctor, I know that strong muscles are essential for a healthy, disease-free old age. Strength training can be done anywhere; you don’t need to go to a gym or a specific exercise class. Squats, press ups, sit ups etc. use your body to create resilience and strengthen your muscles, and this can be done at home, in the park or even at work. Another form of exercise that I will be doing more of is relaxation training – mindfulness, yoga, deep breathing etc. This is because there is a direct correlation between stress and obesity. Cortisol – the stress hormone – causes your body to store fat around the abdomen and can manifest as metabolic syndrome: the gateway to all chronic diseases including cancer. Underpinning all of this is diet and the importance of eating natural foods that provide your body with the right nutrients. This doesn’t just mean eating more fruit and vegetables, and less sugar and fat. My research has helped me to understand that not all vegetables are equal, that certain foods are best eaten at particular times of the day, and that the way foods are cooked or prepared can also influence your health. I hope you find my story inspiring and realise that if you’re lacking vitality, that the weight has been creeping up, or that you’re not as mobile as you could be, you can do something about it. Take my free vitality test today and find out what you need to do to restore your fitness and reduce your risk of chronic disease. If you would like to discuss any of the issues raised in this post in more depth, please do contact me. You can leave a message in the comments or call my Harley Street clinic at 020 7016 2113 for a free 10 minute consultation.